A lot of the blog posts and product reviews I do come from customer's feedback. Quite often customers approach us at car shows and ask if we carry a product that does this or that, or even if such an item even exists. Below are some handy detailing tools available at California Car Cover that I use in my garage that save time and make life easier around the garage. Do you use a screwdriver and a towel to get into tight spaces on your car? Don't risk damaging your car, towels or tools by using Slick Stixxx. These aluminum detailing sticks come in an assortment of angles and lengths to get into all sorts of hard to reach places. The plastic ends are heavy duty, chemical resistant and non abrasive. The detailing sticks are threaded so installing the different ends only takes a few twists. There are a variety of ends for different applications. After you select an end, just wrap the included cloth around it and you are ready to detail. The cloth is soft, so you can use it in conjunction with a detail spray or interior cleaner to clean in those hard to reach places. A screwdriver could not get into the tight space in between the grill and headlight, but the Slick Sitxxx thin adapter can get right in there to pick up dust and dirt missed at the car wash.
A rag alone cannot always get into joints and tight spaces on a dashboard. The Slick Stixxx get right in there and cleans out dust and debris that a towel might leave behind. The Slick Stixxx are great for cleaning grilles after a road trip. They are much faster that using a towel alone to clean in between each bar of the grille. The Slick Stixxx can be viewed on our website. A short video showing them in action is on there too. Have too many detailing tools in the garage? The next pair of items do a multitude of detailing jobs which will save you some room in the garage for another stuff. The Versa Duster from California Car Duster is a 3-in-1 detailing product. It features a velcro backed handle that you can attached either a traditional California Mini Duster pad to or a microfiber pad for dusting vehicle and home interiors. The red duster pad has the traditional baked in wax treatment which is great for dusting hard surfaces such as the dashboard. When done, you can simply peel off the duster pad and swap it with a microfiber pad. The microfiber pad is great for soft surfaces such as seats and dash pads. When you are ready to detail the windows, simple remove the velcro backed pad and replace it with a glass bonnet. The Versa Duster works great at cleaning corners of windows. You can view a short video of the Versa Duster in action on the California Car Cover website. Another glass cleaning and dusting tool is the Glass Master. The Glass Master features a long handle and pivoting head to safely clean glass and interior surfaces. The glass bonnet works great when used in conjunction with glass cleaner. 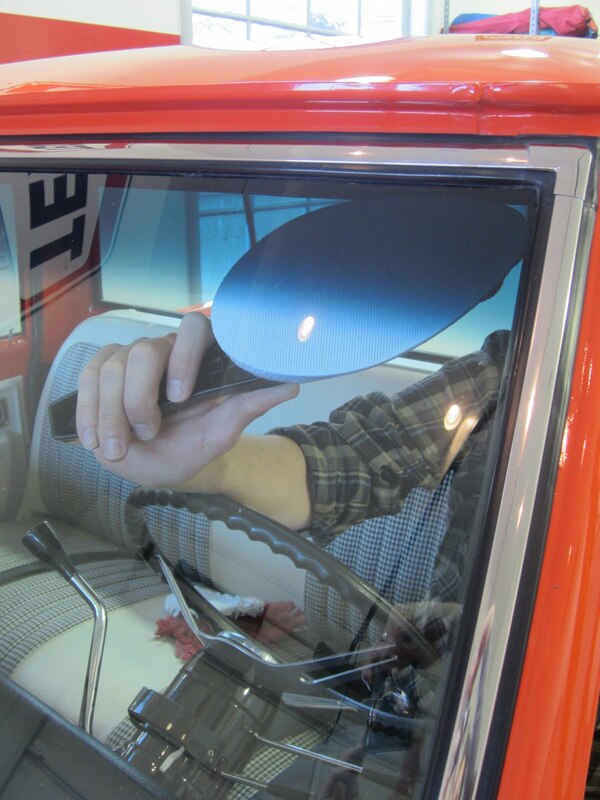 The microfiber bonnets are great for dusting interio surfaces such as the dashboard and seats. The Glass Master is available for purchase on the California Car Cover website. Hopefully these detailing tools will make life a little easier around the garage.